Who is losing sleep over the customer? Who is losing sleep at night over the customer? During the 2012 Secret Service Summit one of the most often discussed topics was, who is in charge of the customer service department? Regardless of your company’s size, someone in your organization has to be in charge of the customer experience and all that goes with it. That someone should not be the President, CEO or owner, but someone who reports directly to them. We have heads of operations, marketing, accounting, sales, and human resources, but our second biggest asset (other than our employees) is our customer. How happy they are is determined by the customer experience we deliver. Until recently, the vast majority of companies had anyone in charge of the customer experience. If you are a mid-to-large company, then you may want to consider creating a position, i.e. Chief Xperience Officer (CXO) or Chief Customer Officer (CCO). What should a CXO/CCO be responsible for? 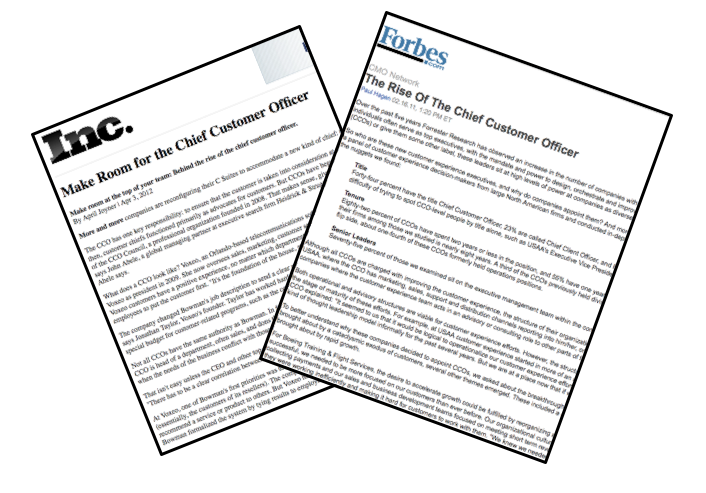 The CCO should be an executive who provides a comprehensive and authoritative view of the customer and creates corporate and customer strategy at the highest levels of the company to maximize customer acquisition, retention, and profitability. They should influence strategies of all areas of the business that impact the customer, and ensure the service strategies are built around, and for, the customer. What does a CXO/CCO look like? One of the biggest mistakes I have seen companies make is hiring, promoting or delegating the CCO position to people who have zero genuine hospitality characteristics. This person has to live and breathe hospitality, internally, externally, and in all areas of his/her life. If they do not meet the criteria below, PASS! It is so much better to leave the position vacant than to fill it with a mismatched person. What if you are not a large organization? Now if you are a small company or a start up, I don’t suggest creating a brand new position dedicated to the customer experience, but you do need to have it be a major part of someone’s job title and responsibility. For example, at John Robert’s Spa, we promoted a rising star, a manager in training, to Director of Secret Service. Her responsibilities are to manage and monitor all aspects of the customer experience and lead JR’s internal Secret Service Agent team. 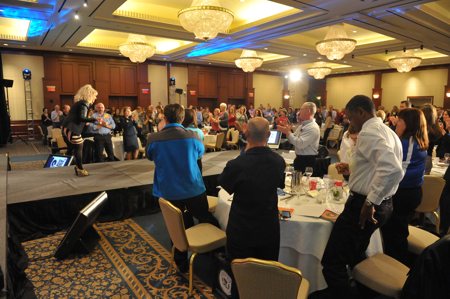 2012 Secret Service Summit – The Summit is over, and it was incredible! The energy, passion and knowledge that were shared for two full days by 12 speakers and 403 attendees (400 was a sellout, don’t tell anyone we went over by three) were remarkable. If you were not one of the 403 attendees, I will be doing a recap on the takeaways on the speakers in next week’s eService. 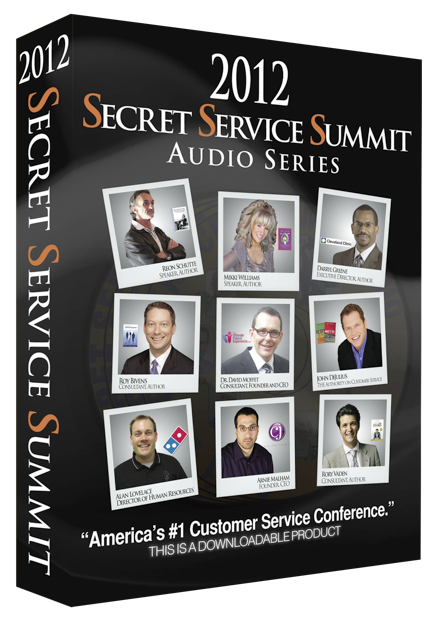 Order the entire Secret Service Summit Audio Series here. Watch the highlight clip from the 2012 Secret Service Summit! but is difficult for your client to comprehend — change it. It’s not worth it. Comments Off on Who is losing sleep over the customer?